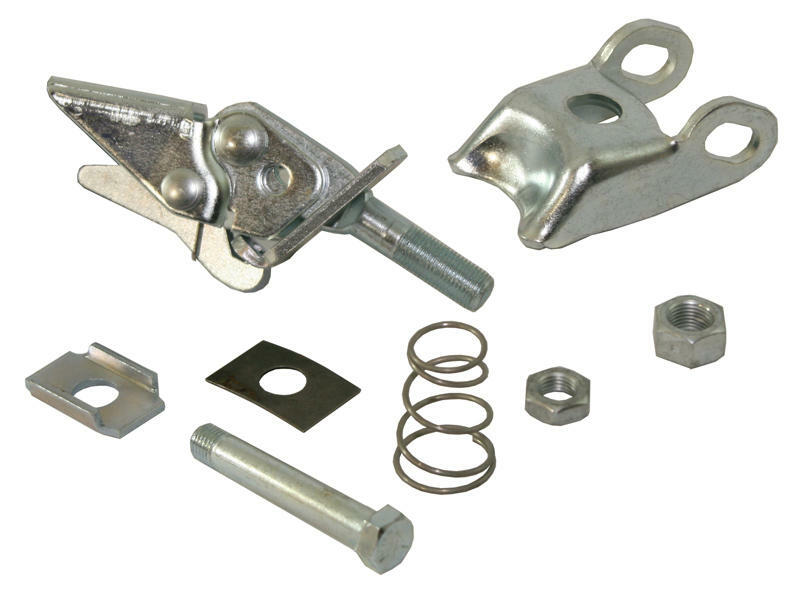 Coupler repair kit for latch-down style couplers on Titan Model 60 surge brake actuators. Includes latch mechanism and pivot bolt, ball latch and spring. Titan part number: 4358400.